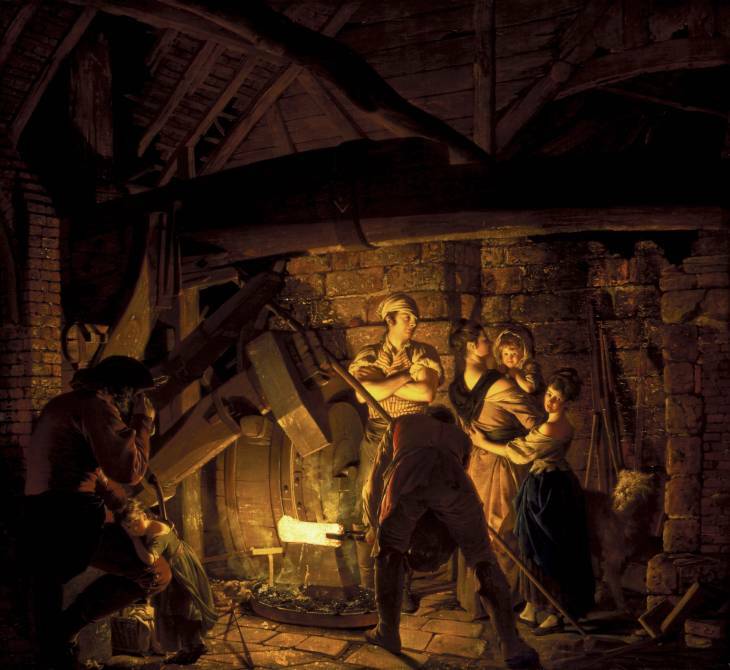 Industrial age, from the late 18th C changed the materials of construction and processes. These affected the form, scale and functions of the buildings. Cast-iron, wrought-iron and mild steel were being produced economically and qualitatively. Portland Cement was developed in 1824. First applications of new materials were through older processes, so the change was not noticeable, but did saw the termination of Revival styles. Steel was no longer a stronger cousin of cast or wrought iron. It began to be exploited for its tensile potential. Concrete as Steel-Cement composite offered radically different possibilities. New structural configurations emerged for entities like railroads, depots, shopping centres, bridges, warehouses, factories and commercial complexes. During 1850 to 1870 building facades of steel and glass virtually eliminated the masonry walls. This was accompanied with changes in of the fuels for home warming, cooking and lighting. The glass fronted buildings created new architectural exteriors and brightly lit interiors. Buildings now had deeper spaces, and larger footprints. The glazing for openings was larger, and mullions and transoms became thinner or disappeared. The conspicuous columns and beams on the facades began to recede to the interiors. Factories produced opening systems for commercial spaces, now had standard of sizes, shapes, materials and hardware. These also helped the demand for cheap and quick public housing. Many older types of openings, typically conservatories, jalousie, bay and bow windows were redefined with better technologies. Till now dwellings, had main facades as a style treatment, and other sides were simpler and less expensive. High rise buildings in dense urban areas were, however, seen from all sides and required equal treatments. The equal treatment on all sides did not respect the climatic orientation or follow the functions inside. The openings’ systems were required to do many different things, depending on the location. Such localization and customization were done by installing new internal treatments to openings. Flooring was another changed entity. It was not possible to procure natural materials for very extensive spaces. So many new cement-based systems, precast and cast-in-situ, were innovated. The transition to new age was not smooth. The resistance included, rejection of time tested styling and skepticism for new things. These were arising due to several facts, machine-craftsmanship was poor, no quality-assurance was available, and mass-produced items lacked the personalization or exclusivity. At another, level the resistance was coming from designers’ and builders’, who found their roles changing with ready to use components. Smithy is a work-place where metals are worked by heating, casting, and hammering (forging) for quality modification, shaping and joining. Copper, bronze and silver were some of the first metals handled in workshops. Smithy is called a Forge. But bronze is not as malleable as copper or silver, and it was not readily forged or chased, but cast. Copper was shaped by forging. The traditions of metals like bronze and copper helped man to deal with cast iron –a castable metal, and little later wrought iron –a workable metal. The term to wrought derives from work. 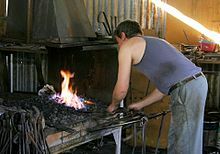 A smithy is also called a forge, as hot shaping or forming is chief the activity here. The metal workshop processes are associated with hearth, a place to hammer, chisel, punch, shear bend a piece of iron, and water or oil for quenching the item. Metal pieces are heated to a temperature range at which work hardening does not happen. The heated metal piece is held with tongs and taken to the forge. Here the work-piece is held with tongs and other types of holders while forging. The heating and forging sequence is repeated several times, to maintain the temperature. The piece is than taken to a tub of water (or oil) for quenching or rapid cooling. Once upon a time forging workshops were independent units, owned by a smith and serving variety of needs of a neighbourhood. These needs were cooking vessels, plates, bowls, spikes, nails, cart axles, horse shoes, agricultural implements, tools, etc. Iron smiths were employed at construction sites to produce architectural entities such as lattices, screens, partitions, fences, stairs, balcony railings, horse appointments, weapons, posts, and building hardware, etc. ‘Locksmiths’ were fine crafts persons, with capacity to devise clocks, locks and other gadgets. Their ability was to rework a smithy item to finer details and embellish it with many different materials and techniques. 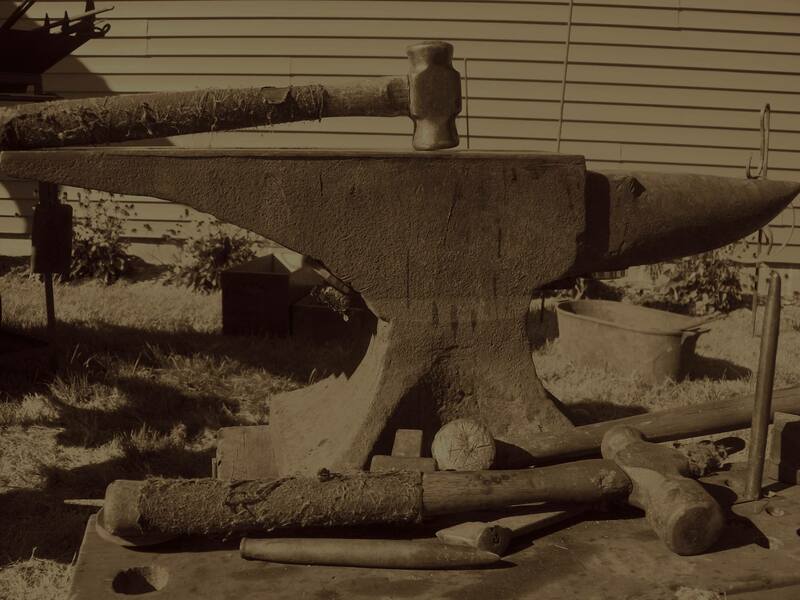 Iron Smiths in later part of 18th C also began to work with rolled metal sheets, items such as trunks, cabinets, truck and other vehicles bodies, buckets, vessels, etc. These items of rolled metal sheets were cold-worked, and did not require any forging. Similarly Iron smiths began to be employed on construction work sites for cutting and rivetting rolled steel structural assemblies. A smithy or forge has following tools and facilities. Some of these are now made from very superior materials and automated. A Hearth is a place where coal, charcoal or other fuels are burnt. 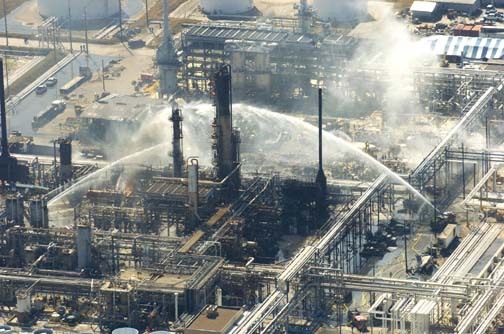 It is designed to contain and control the fire by amount of air, volume of fuel, and shape of the flame or heat spread. The hearth is aided by a Tuyere (a pipe through which air is blown into fire) and Bellows or blower (for forcing air into the tuyere). Bellows were once made of leather, and blowers are fans moved manually or by power. The hearth fire is used for effecting metallurgical changes like hardening, annealing, and tempering, etc. An anvil is a block on which forging is done. It is placed as very steady piece and used as a support for all metal manipulations. Its size and shape vary according to the weight of work piece and nature of operations. Most anvils have a wide base for stability, a body, a flatter main work face, projection called horn, and variety of edge forms, holes and depressions. 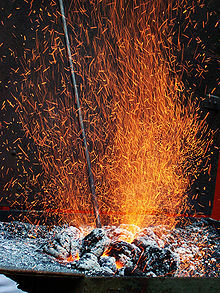 Tongs are used for holding, carrying and turning a hot metal piece. Tongs have similar mechanisms, that is long arms but variety of holder mouths. Vices are clamping devices mounted on work bench end. Chisels are used for cutting and chipping, but separate for hot and cold work. Punches are like chisels but blunt edged for forming holes or depressions. A drift is a large sized wide cone punch used for enlarging punched holes. Hammers are called a smith’s hand. Hammers have different weights of heads, types of head formations such as pean, eye, cheeks, face, and lengths of handles. 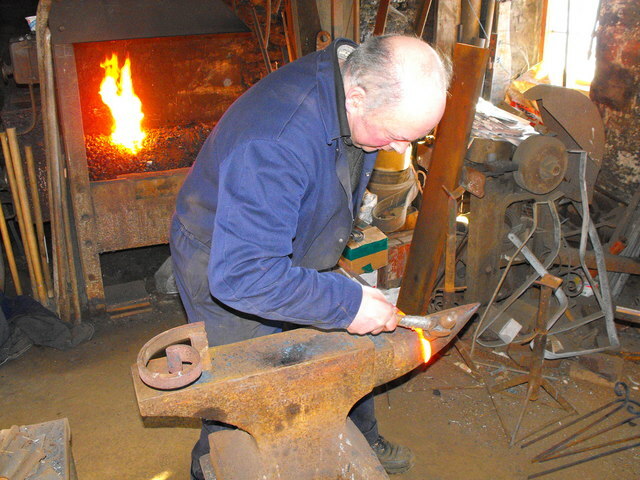 A crafts person on own uses lighter to medium weight hammer as other hand is used for holding the iron piece in a tong, whereas an assistant uses both hand for a heavier sledge hammer. Nowadays power hammers are used. Modern smithy have other facilities like lathes, drilling, shearing, punching machines, cutting saws, grinders and welding equipments. Mile stones of Human developments are marked by distinctive technological innovations that have given very competitive advantage to several fields. These through wide range of applications changed the course of developments. History of prehistoric times is perceived in terms material related epochs. 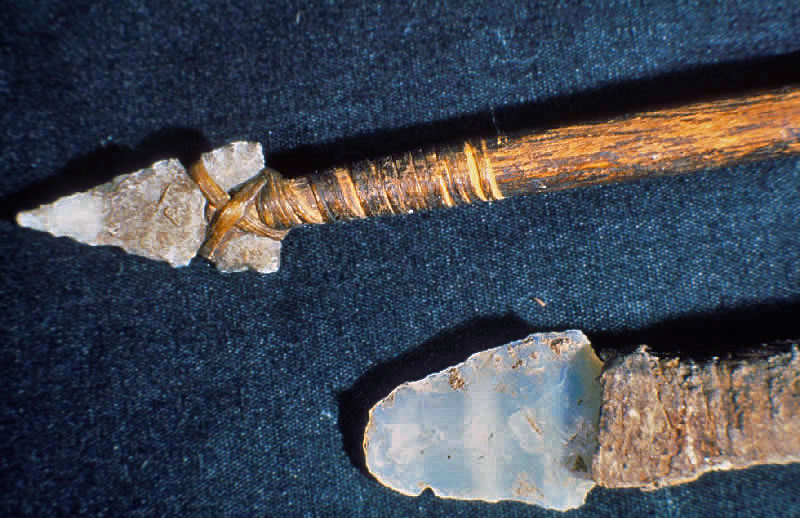 The era defining phrases such as Stone Age, Bronze Age, and Steel Age, are material related classifications. These distinctive material phases would not have happened without the fire, the most important of all conversion processes. Fire has been the mother of all the early processes of change. Cooking food with fire was the earliest conversion process. 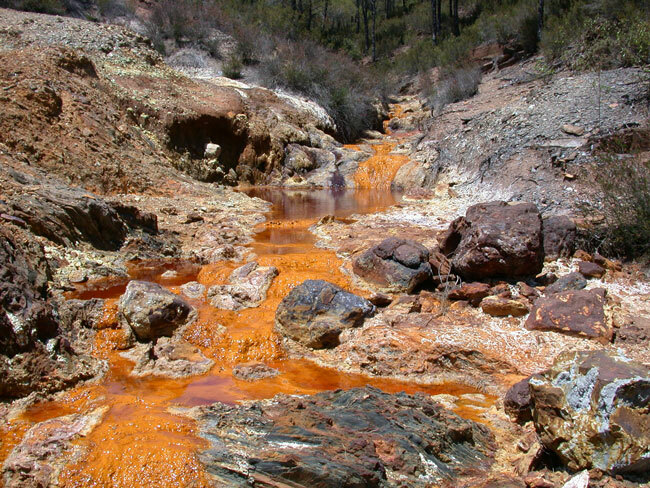 It showed the way to turn clay into ceramics. 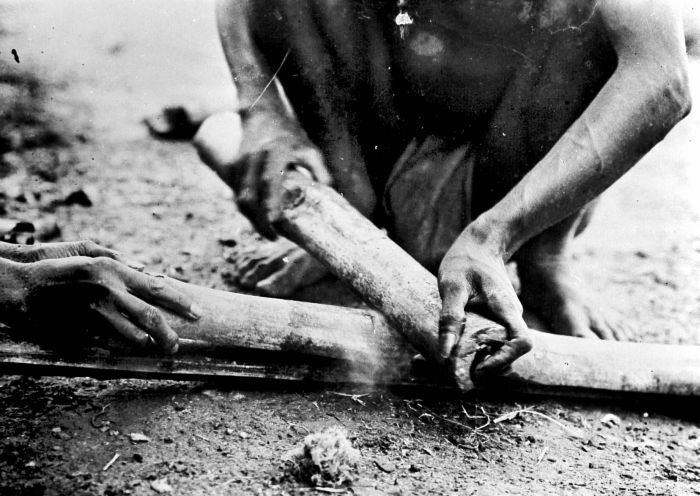 Conversion processes without the use of fire were as useful, such as agriculture, domestication of animals and construction of an abode. Later periods of history, however, are recognized by different categories of technological achievements. Some of these were Deployment Technologies. A deployment technology shows how to things are formed, assembled, combined, handled or managed. Methods of joining, amalgamation and fabrication helped one to take up risks associated with new conditions and move from speculative conditions to guaranteeing the performance. It forced man to realize that it is advantageous to accept innovations, then to waste time and effort in fine tuning the current technology. Deployment methods are required to scale-up the experiment into an application of wider implications. 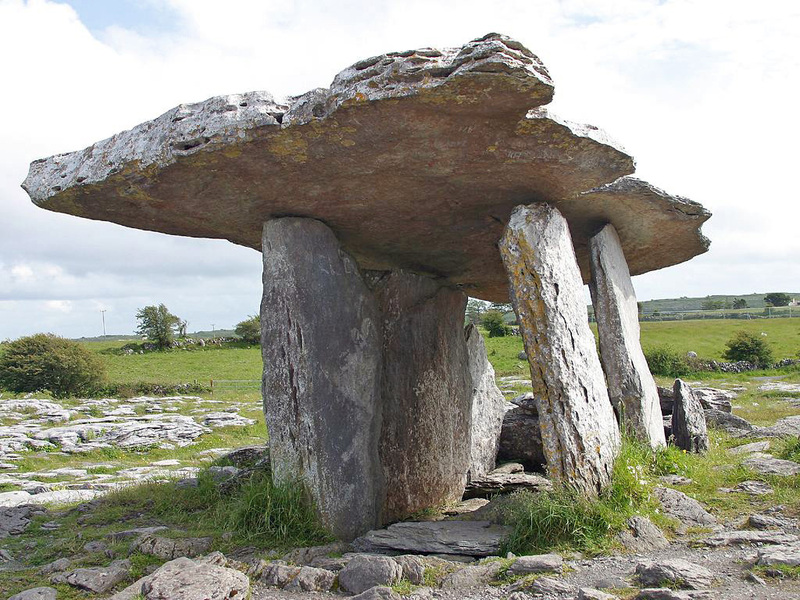 Deployment methods have been used in executing extra ordinarily large structures like Dolmen or Stonehenge. Gothic structures rationalized the use of materials. 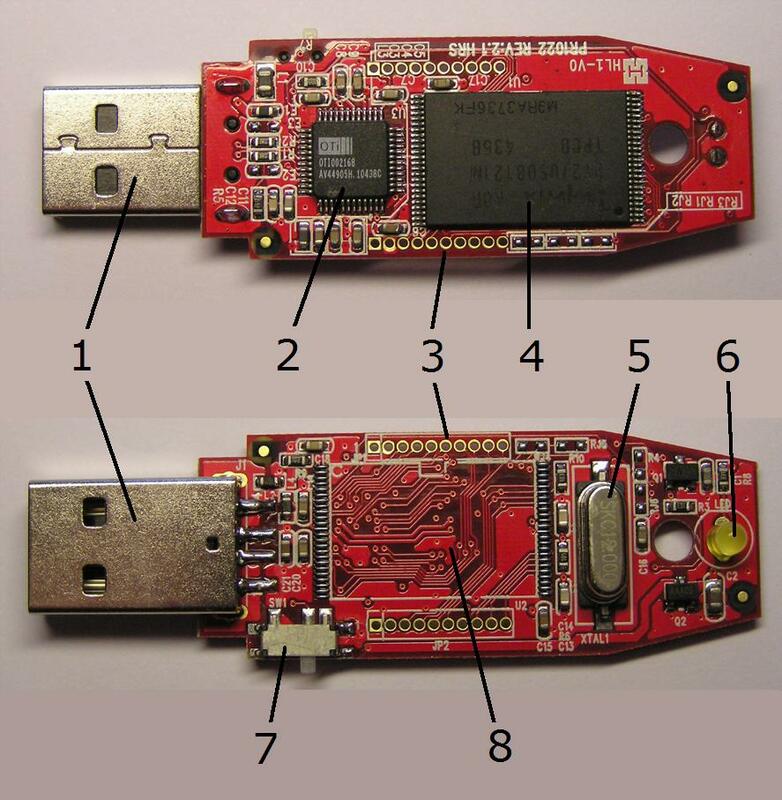 The deployment methods were learnt from the nature which later developed in Biometric. Wherever large deployment of resources by Humans occurs such as building sites, large human settlements, war zones, areas of natural calamities and diseases, recovery and reestablishment efforts were inevitable. These locations and structures thereon had to be abandoned wasting geopolitical advantage, or resurrect them by expending afresh. These Termination Processes (and reestablishment) were very important human opportunities requiring a rethink on relevance of technologies. Such opportunities were once considered unpredictable but modern day activities are planned with concerns like reuse, conservation, preservation, recycling, safe-disposal, cost-benefits, sustainability, etc. Miniaturization resulted from efficiency concern for mass-weight resulting in energy savings. In certain circumstances the loss of the second (width) and third (depth or height) dimension makes an entity of nearly zero mass such as in embedded transistors in a printed circuit, CCDs, metalized film, etc. Miniaturization has eliminated moving parts and has allowed distributed control systems. The distributed controls create components and subsystems that are replaceable. Regulated processing conditions the response time, and in many circumstances recovery time. These technologies were used in controlling the reverse action, bounce back or impact absorption, but are used in transfer systems such as elevators, walkway, conveyers, controls for gadgets, vibratory conditions, acoustics, climate control, etc. It was once upon a time based on simultaneous or synchronous movement control, such as a turning shaft moved several sub systems through belts, sprockets, gears and levers. This is now a distributed control system with thyristor resulting in nearly a no-movement device. Technologies begin to be relevant for a specific purpose, but others perceive it as a platform for a quantum jump. New materials come into being because new conversion processes offer the change. Deployment design is a challenge to use the technologies in different modes but termination processes re-validate the technologies for future. Multi lateral or Multi functional operations are based on concurrent handling of several processes, in time and location. Such plants save space, often operate in inclement environmental conditions, isolation, hazard prone situations and require no ergonomic considerations. 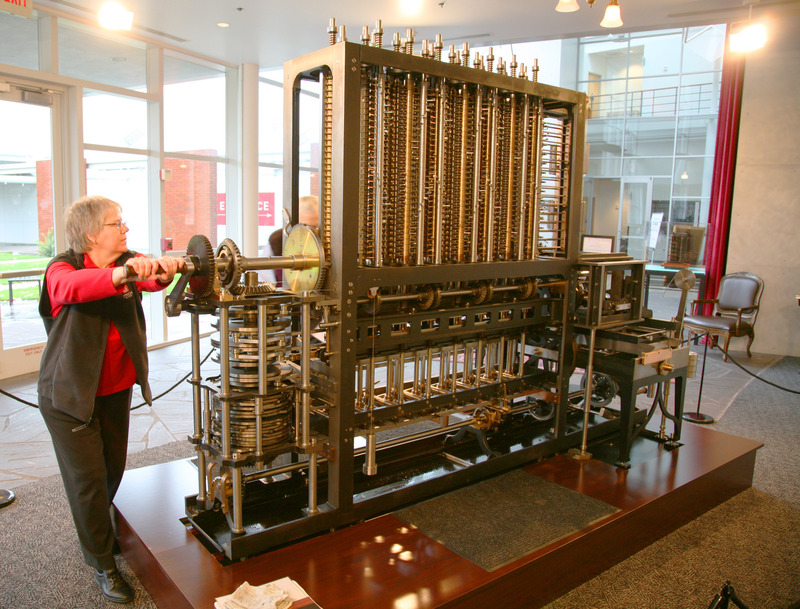 Some of the early multi functional technologies were CNC machines, work stations, Robotics, weaving looms, parallel computer processing, multi lateral servers, etc. Convergent technologies combine several time and space relevant technologies. There is an inherent sequencing of processes or layering of applications. It begins as add on technologies to existing systems as and when these are realized or become viable. But soon enough someone somewhere innovates an integrated solution that has the efficiency of integrated working, fewer components, and a compact design. As these are offered as a fit-in replacement, so obviously have a neat and self-sufficient form. 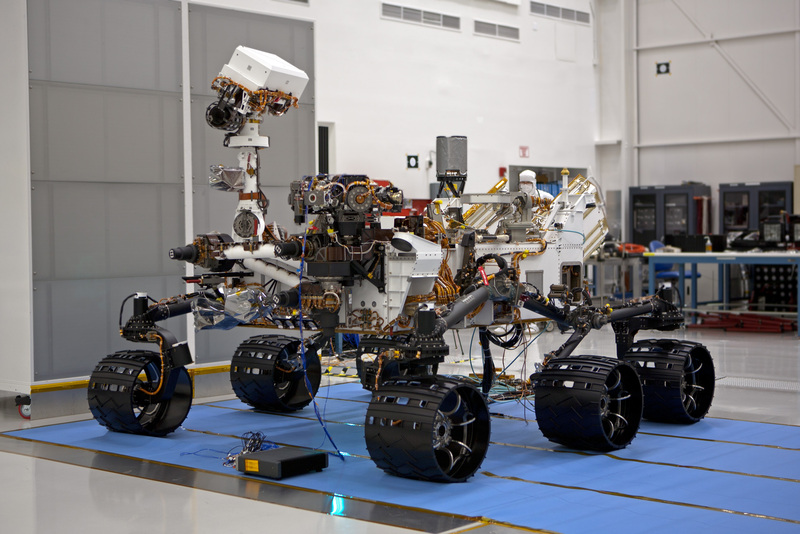 Tools, Handling, Reach capacities have made it possible to deploy new designs. 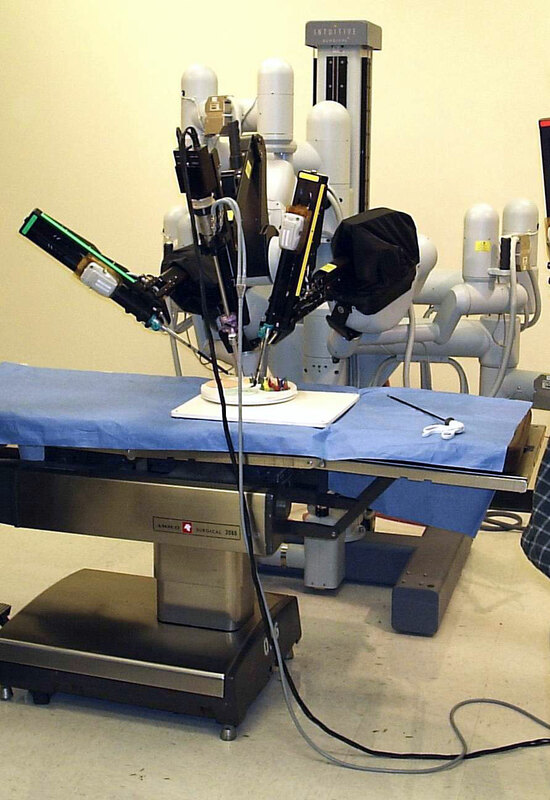 This century some amazing tools like under water and argon welding, flexi drills, pneumatic tools and medical scopes, non invasive testing tools, remote processing and handling systems such drones, molecular level material removal and addition, 3D modelling and printing are available. Cross over absorption of technologies has become possible due to wide spread information dissemination. Innovations in a field have more takers in other fields. 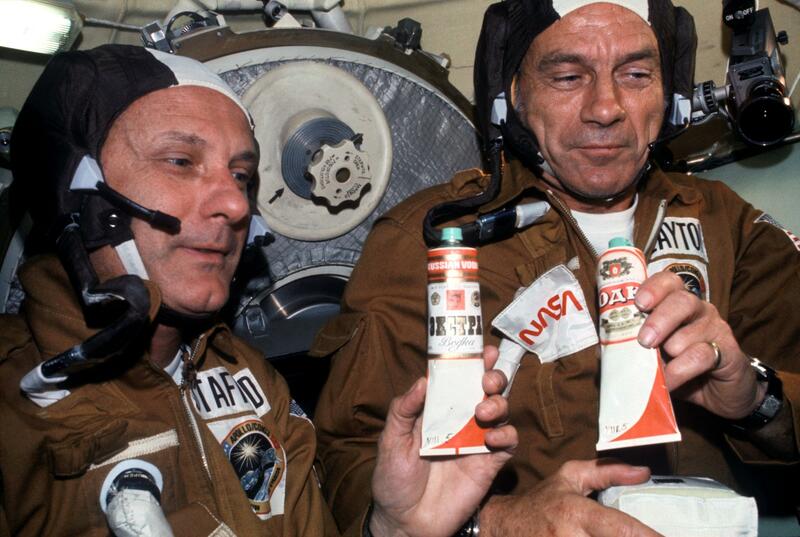 Space travel innovations have been very extensively adopted in life sciences, fine chemicals and agriculture. Advances in Bio-science have inspired builders to design biometric architecture. Digital imaging, remote sensing and global positioning have collectively opened many new avenues of knowledge. Miniaturization has brought in drones, bugs, spiders not just espionage tools, but monitors for conditions inside the body, pipes, atomic reactors, mines and architectural models. These are some examples how different technologies overlap to generate a new entity, which in turn is employed in never conceived form. A technocrat needs to be aware of emergent technologies in other fields. Otherwise by the time these percolate to their own fields, the developments outdate them.